My 25th guiding and casting lesson season is about to begin and I’m excited. This past winter has been a time for contemplation and reflection as well as a time for deep thinking and exciting forward planning. The past quarter of a century has been a sometimes difficult but always rewarding journey. To think that in my first year of business, 1994, I did just 33 days of guiding and 3 casting classes. From these humble beginnings I had no idea that a quarter of a century later my guiding team and I would operate with a more or less full guided fishing diary of over 90% repeat clientele and the casting course program has now been delivered in South Africa, China, Malaysia, Indonesia, Taiwan, New Zealand, North America, Japan and Canada. At the end of the day many any of you have become firm and valued friends. Undoubtedly this has been the most rewarding part of the amazing journey and I thank you for it. With the wisdom of years I now realise that it was never about the size or numbers of fish. 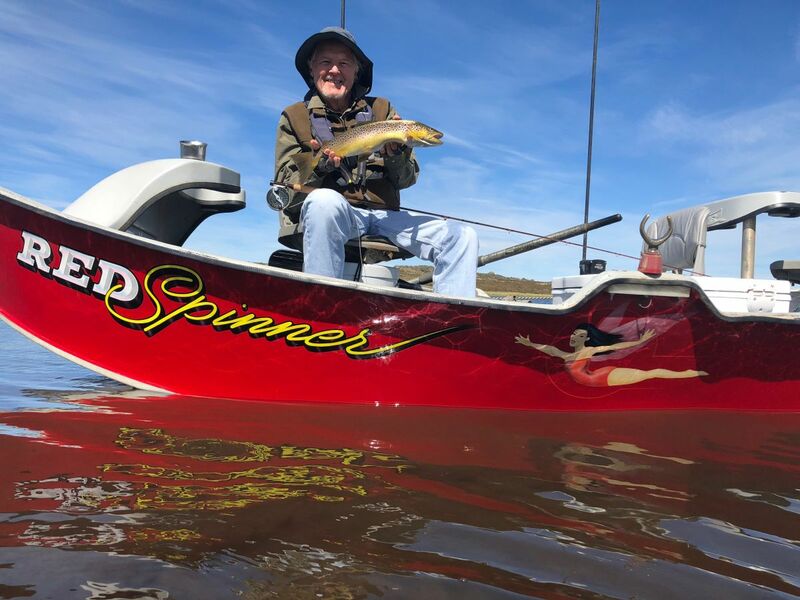 It was about relationships, Life, Love and Fly Fishing. 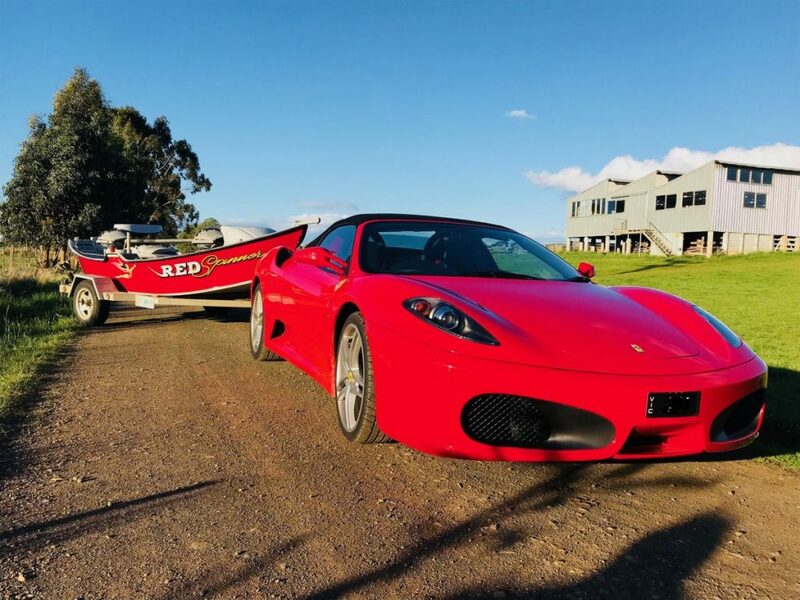 The start of last season saw a new paint job on the 12 year old “Red Spinner” Hyde drift boat. You may remember that this was the first ever drift boat imported into Australia. I can easily think of 18 that are out and about now. Maybe I was ahead of my time ? I’ve also added a couple of micro power poles and a 1 HP/24V electric motor. The Red Spinner is set up as perfectly as it can be for both floating the Northern Midland meadow streams and for stealthy polaroiding in the World Heritage wilderness tarns. 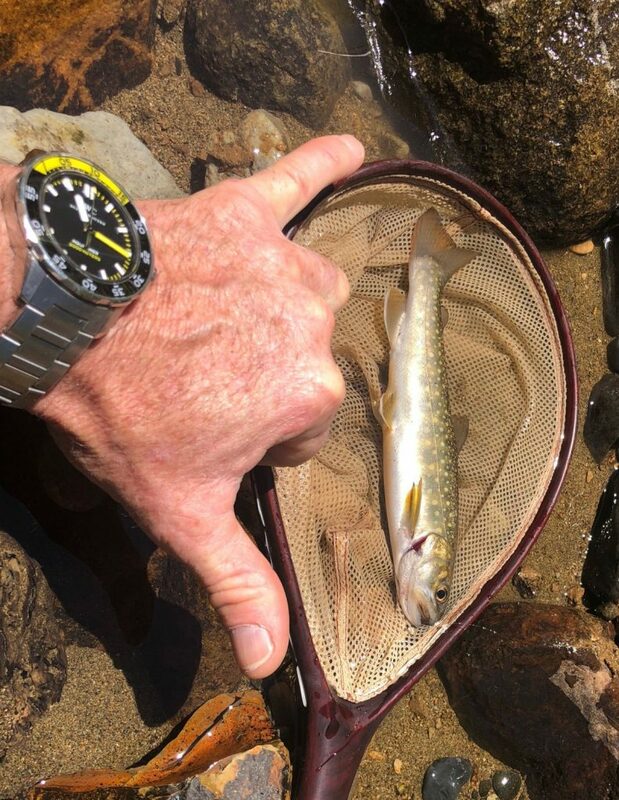 One of the most memorable fish this past season, but by far not the largest, was a trout caught on a grasshopper fly in a nearby river. This fish is so pretty that I easily recognised it as being caught previously. When Dave and I checked our earlier photos we found that it had in fact been caught 3 times over the past 6 years. 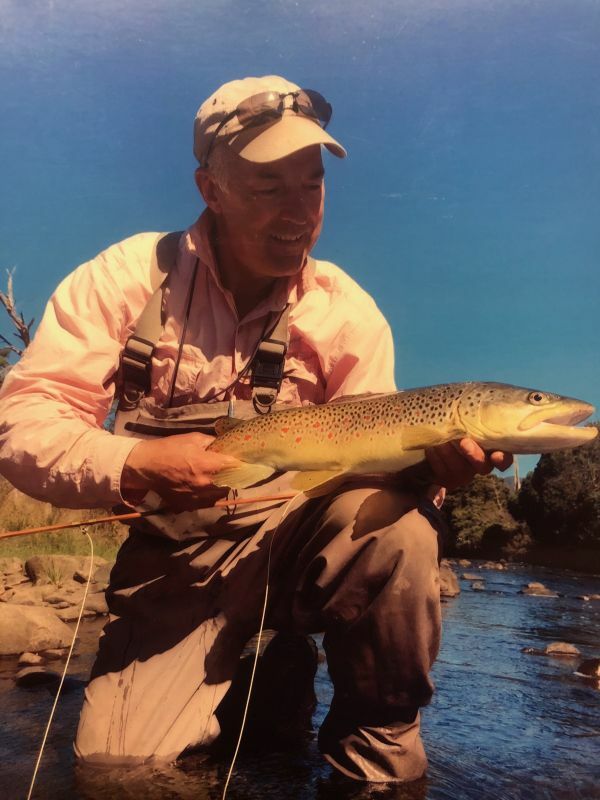 (A trouts skin pattern is as unique as a persons fingerprint). This further highlights to me how ahead of his time the great Lee Wulff was when he stated that ‘An Atlantic Salmon was too valuable to be caught only once’. Another memorable time was had on a continuing education trip to Japan. 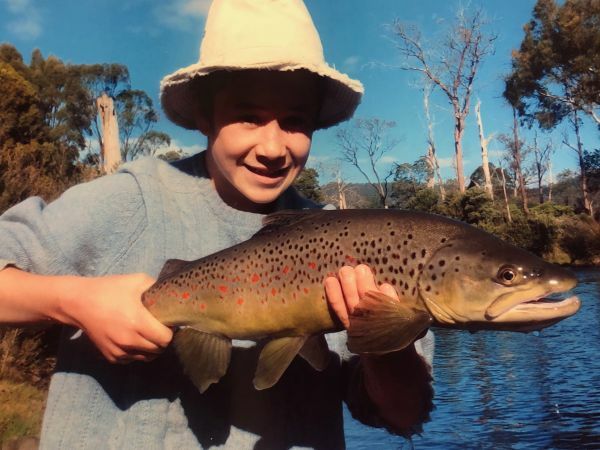 My son Lachie, Dave Hemmings, Nick Taransky and I spent 10 days learning slack line, drag free presentation fishing methods from Naoto Shibuya who I consider to be the greatest fast water dry fly fisherman that I have ever seen. I can assure you that it’s been a long time since I’ve learnt so much about fly fishing. Perhaps keep an eye out on my blog posts as I will write a detailed report there when I have time. I must say that alongside Shibuya san I felt like a complete amateur. I look forward to sharing this knowledge and understanding of such a wonderful technique with you all one day. To that end I intend to arrange for Shibuya san to visit Tasmania and conduct workshops in this wonderful and effective method. Look out for them on my website – I’m sure the limited places will fill quickly when they are announced. The workshop programs were all fully booked this past season. 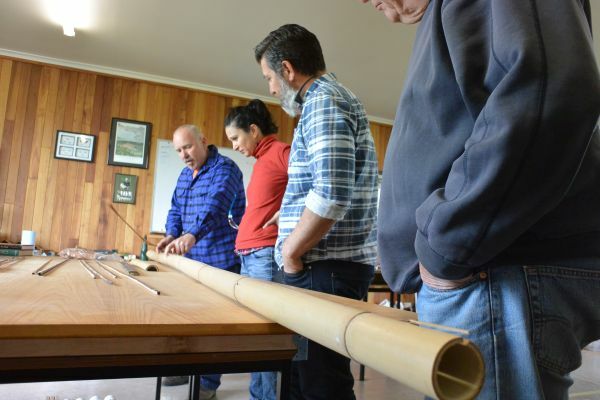 Dave Hemmings pet event, ‘Cressy Cane’, was in it’s 4th year and I’m excited to say that on the back of Internationally renowned maker, Jeff Wagner, this coming year we have organised for BC’s Bob Clay to be the International guest presenter. Cressy Cane is a great event and over the years I’m proud to have been able to facilitate along with Dave, Nick Taransky, Dave Anderson and Peter McKean the resurgence of an interest in casting with and making cane rods. Nick Taransky ran 3 weeks of classes at the lodge this past season. The participants all levt with beautiful rods that they will treasure forever. If you have the time these are week long classes that I know you will enjoy. No previous woodworking skills are necessary as Nick holds your hand through the entire process. You will leave the class with a cane rod that you have made yourself. It will cast like a rocket and will become a family heirloom. Last season’s weekend was completely subscribed well before the event. Dorothee Williams came down from Darwin to be our guest presenter and she was a sensational hit with the girls. 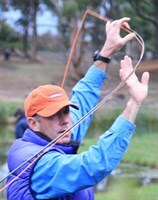 The theme for the weekend was one of saltwater fly fishing. Once again the event was sponsored by Mike and Jules at the Essential FlyFisher. Thanks for your continued support guys. The next event will be held in March 2019 and I’m delighted to announce that North America’s Heather Hodson will be the visiting guest. The bookings are already rolling in so book soon to avoid disappointment. Sandy Gray came along for his regular week in March. You may remember that one day last year Sandy managed 62 fish for a day! It was an all time record. Well, on the same day this season, and in the same stretch of water, Sandy worked really hard for just 8 small fish. I guess ‘that’s fishin’ and once again it just goes to show that it shouldn’t be just a numbers game. 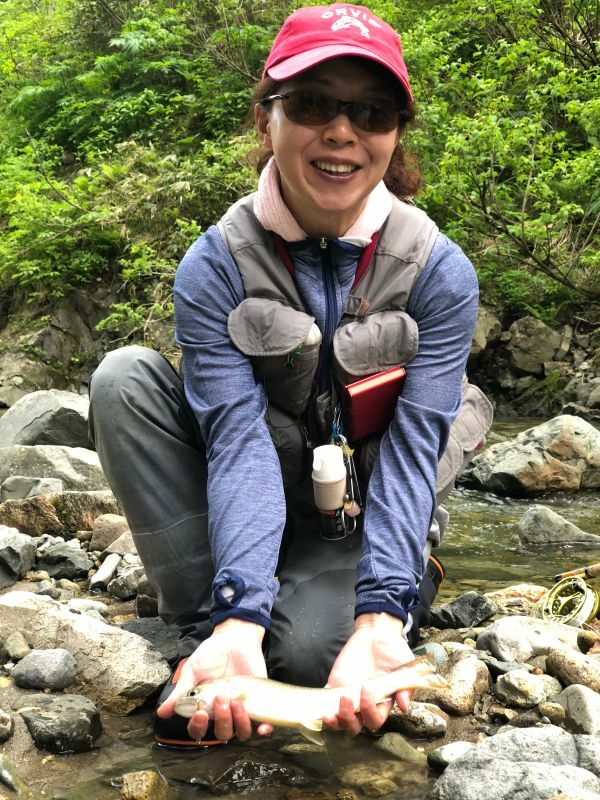 Every fish we capture from the wild should be revered and one of the things I really liked about the Japanese fly fishers was their great reverence for any sized fish that they catch. 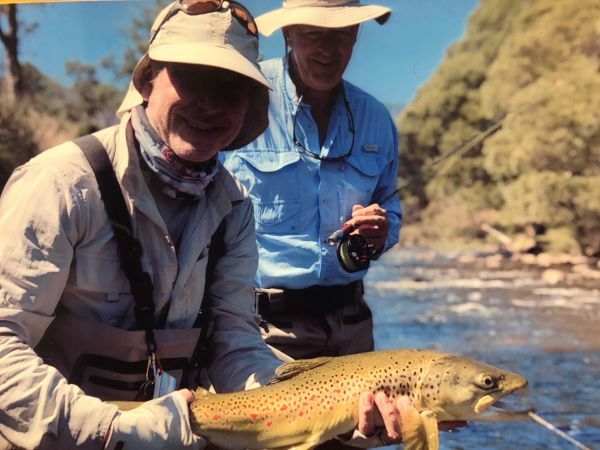 I was excited to be able to introduce Ian and Jen to fly fishing this past season. 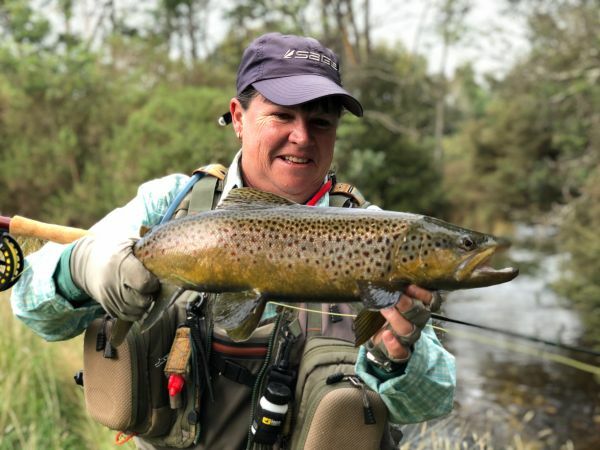 They came along to one of our annual ‘Learn to Fly Fish’ weekend courses and stayed on for a guided fishing experience. I’m so proud of them and their achievements and it was rewarding to walk a river together and catch beautiful brown trout on dry flies. I can guarantee they are now students of fly fishing forever. They have the bug. 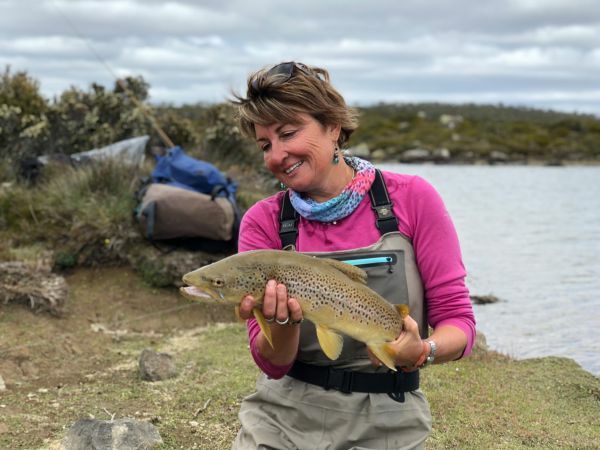 These workshops (we have another one in November) are always popular and I am pleased to be able to introduce many people to fly fishing and help many already experienced fly fishers through them. It’s a rewarding experience for all. This winter is a period of renovation and rejuvenation for the lodge at Cressy. There have been major landscaping and garden working activities recently and now it is time to turn our efforts internally. I can’t wait to host many of you again this coming season. I’ve recently spent much time with a wonderful web designer (see www.rwtt.com.au ) Stephen Smith. Together we have created a more functional site that is easier to navigate. 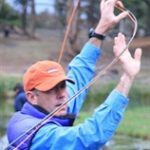 I believe it will be much easier for me to add regular content regarding fly casting and fly fishing information and tips. Please feel free to pass the address onto your fly fishing friends. Anyhow, that’s enough for now. I have so much to do for the start of this season that I had better get into it.